My car has rolled over another milestone in its lengthy history. 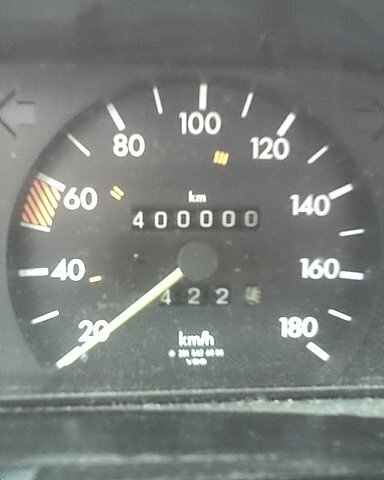 This morning, the odometer rolled over 400,000 kilometers! Lucky for me I was able to hit some light traffic to watch the nine’s roll up in mesmerizing fashion. 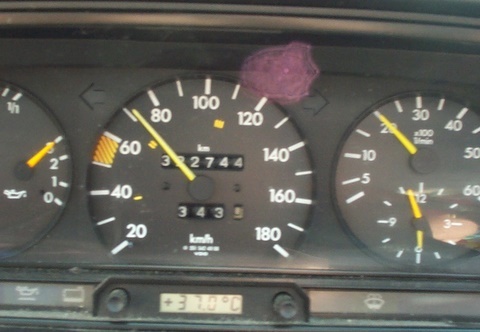 I can’t imagine that you’d get the same experience from a digital dashboard. In honour of this event, I have assembled a collection of related milestones. With this information, it appears that I have had an average speed of 1.75 km/h all day every day over the last decade. 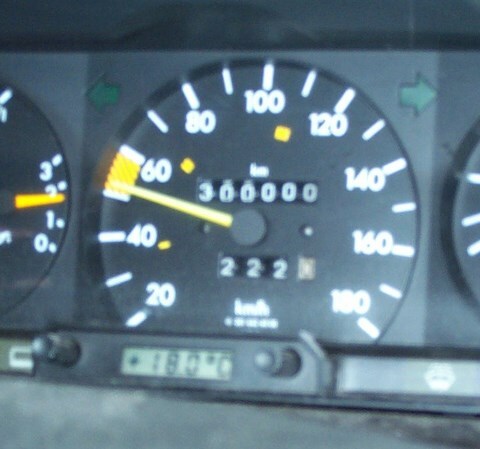 October 7, 1998 – 250,000 km – Ardrossan, Alberta. Just as I rolled onto the cement pad at home. I do not have a photo from this, but I did manage to dig up an email I sent from my University account! My car rolled over 250,000 as I got home from campus today! 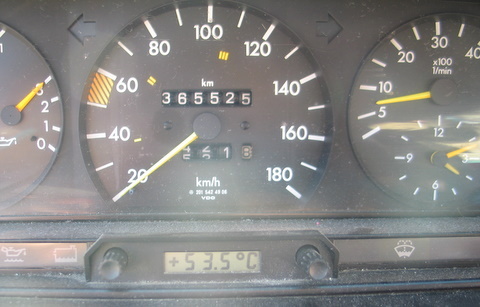 August 9, 2003 – 322,744 km — 37°C – Okanagan Region, B.C. This is so freaking tasty! ELLEN L THANK YOU SO MUCH FOR THE VANILLA CREAM GOURMET SODA FROM THE STATES!!! IT IS SO FREAKING TASTY!!! Henry Weinhard’s Vanilla Cream Gourmet Soda for the win!